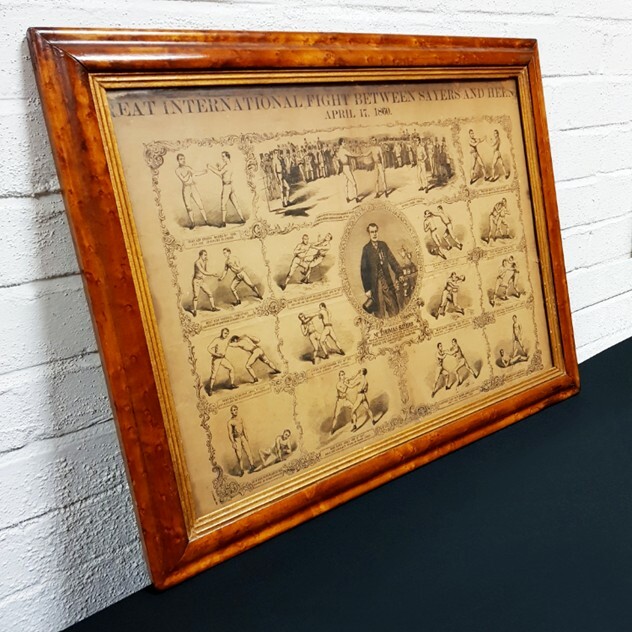 Original 19th Century framed boxing poster dated 1860. 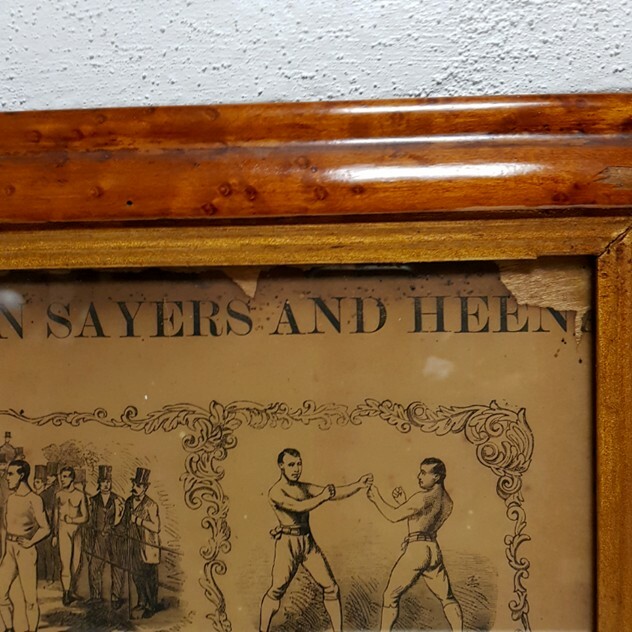 This was produced to commemorate the first ever World boxing title fight between American John Heenan and England's 'Little Wonder' Tom Sayer which took place on 17th April 1860 in Farnborough, Hampshire. 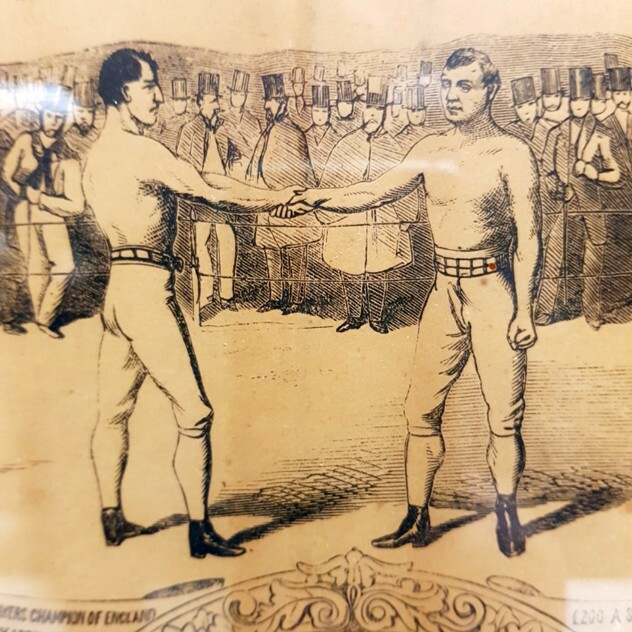 Prior to this bout, the sport of boxing existed predominantly in pubs and was unlicensed. 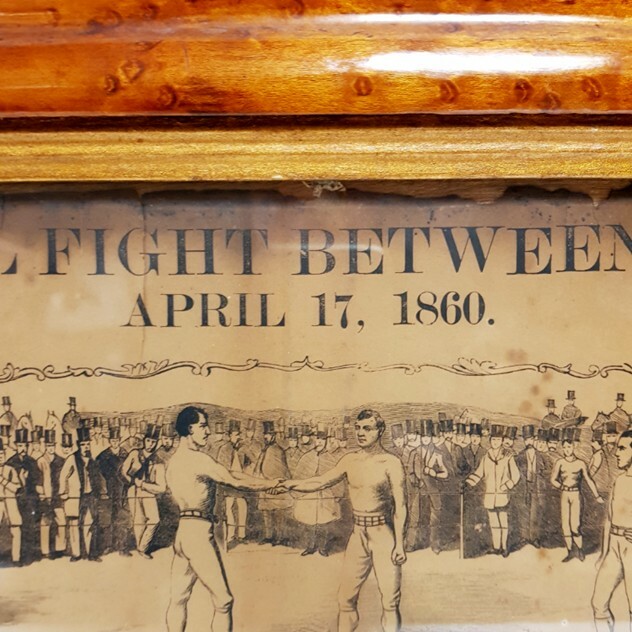 The fight lasted for 35 rounds, but had to be stopped because the crowds broke into the ring, and the officials declared the bout a draw. 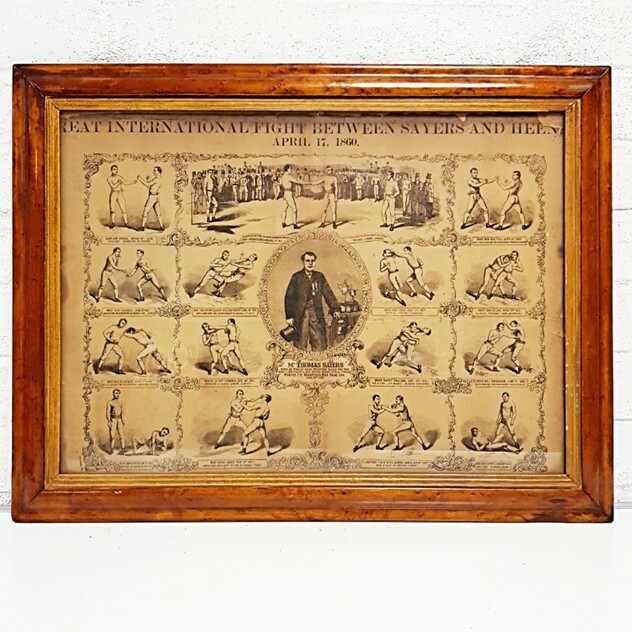 As a result, both fighters received a championship belt emblazoned with 'Champion of England' in burnished silver. 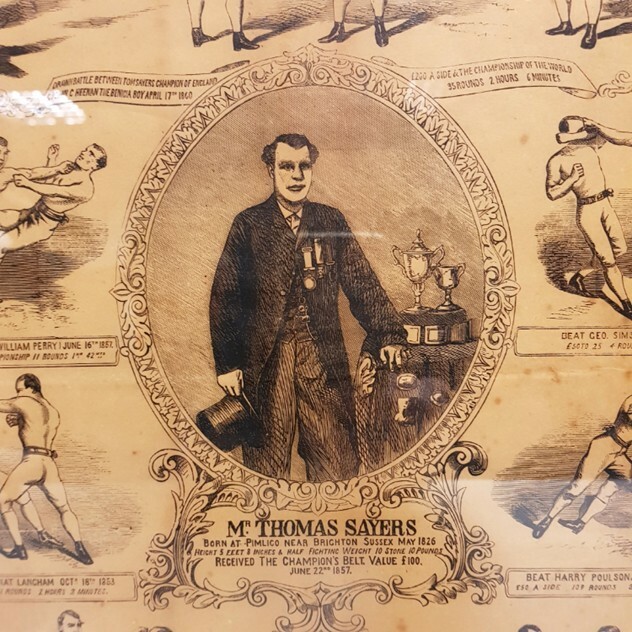 The poster shows Thomas Sayer in the centre, and the history of his boxing career from 1949 through the to the title fight - he took part in some epic bouts - the longest being fought over 109 rounds........makes today's fighters seem a bit lazy! Has some light tears around the edges, but in excellent condition and a rare item.